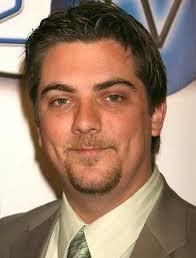 Jeremy Miller is better known for playing Ben Seaver in the popular US TV comedy show Growing Pains – the show ran from 1985 until 1992 and repeats can still be seen on TV. He was only seven when he first began appearing in the show as the youngest member of the cast. He will probably be most remembered in the show for his scream that could be heard at the end of every episode. Jeremy Miller played a much-loved character in Growing Pains, but he also gave up a lot of his childhood to the show, falling into alcoholism during this time in his life. Jeremy Miller discovered alcohol at a very early age. When he was four years old, he would steal beer at parties from the grownups when they weren’t looking. This bit of mischief would probably make some adults laugh, but it was the beginning of a serious addiction for Jeremy. By the time Growing Pains ended in 1992, he was a sixteen year old with a serious alcohol problem. Things became so bad that in 2011 he decided to undergo an implant procedure that released Naltrexone into his system so he could break free of alcohol. He is now fully committed to sobriety and has engaged in projects to help increase awareness of alcohol problems. The idea of Jeremy Miller drinking beer at age 4 is not hard to believe at all. Kids like to experiment, and it is only natural that they are going to copy the behaviour of grown-ups. It is unrealistic to expect children not to be intrigued when they see how alcohol can make people more sociable and willing to have fun. Alcohol can appear like magical stuff so it can be difficult for parents to prevent kids from getting their hands on it. Parties provide the perfect opportunity for kids to do a little experimenting because there is often so much drink floating around. it can lead to lasting physical and mental damage. It is great that Jeremy Miller is out there discussing his experiences of drinking as a teenager. There is help available for kids who have developed this type of problem, but there can still be a great deal of shame and embarrassment surrounding the issue. Kids who have started to abuse alcohol need to be identified and helped, and Jeremy Miller’s story can increase awareness of this threat to childhood.